It’s that time of year when we are all making resolutions, and one of the most popular is getting in shape during the coming months. 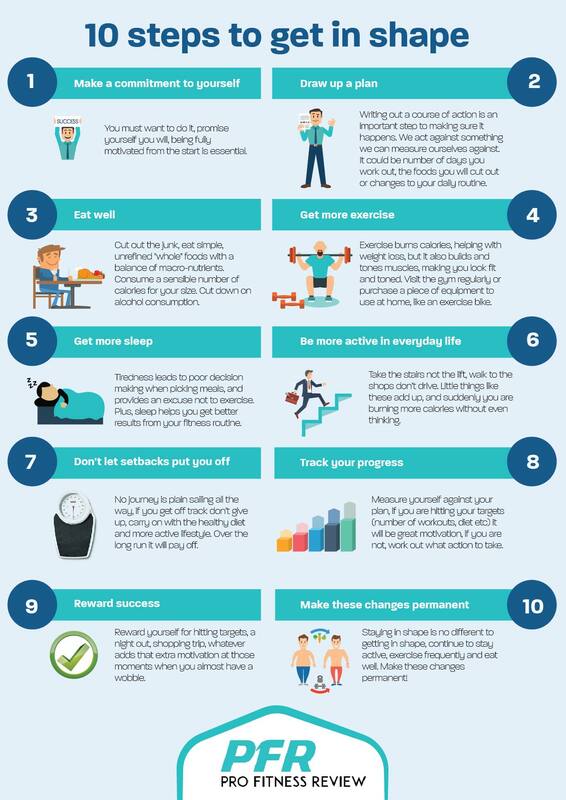 “10 steps to get in shape” is a guide from Pro Fitness Review that sets outs 10 simple actions that anyone can take to improve their health and fitness. With commitment and the mindset to succeed, following these steps is entirely achievable and are guaranteed to make a difference.